Schönen Vatertag. Heute morgen bin ich aufgewacht und hatte Lust eine Boyfriend-jeans anzuziehen :-) Das Shooting heute haben wir im Skate Park Stuttgart gemacht. Wir hatten wahnsinnig viel Spaß dort. 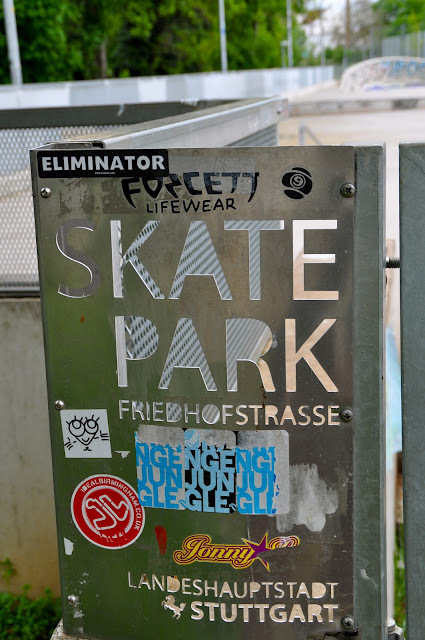 Manche kennen den Skate Park vielleicht aus dem Musikvideo von "Cro" -- Easy (hier geht´s zum Video). Hoffe euch gefallen meine Bilder. Happy "Vatertag" :-) This morning I woke up with the desire for wearing a boyfriendjeans :-) For the shooting today we visited a Skate Park in Stuttgart. Arriving their we had a lot of fun. Somebody of you knows this place because of the music clip from "Cro" -- Easy (here the video). I hope you like the pictures.